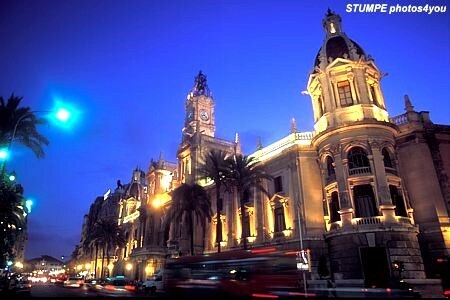 Paella is one of the most famous Spanish dishes of all time and it originated here in Valencia. 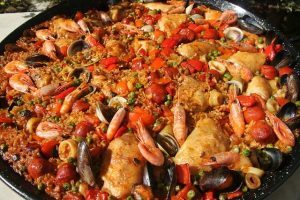 One of the first words anyone learns in Spanish are siesta, fiesta, tapas and paella, but despite being such an iconic Spanish dish there is still a huge debate around what Paella actually is and most importantly, what ingredients go into it. With learning Spanish, specially here in Valencia, comes learning how to cook a proper paella (or at least knowing what NOT to put in it). While this is not the worst offender, most people would agree that peas don’t belong in a paella. 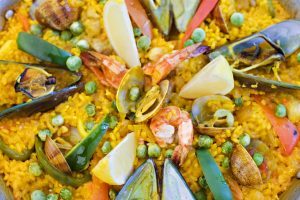 In restaurants in Valencia you will most definitely never see peas in a paella and, if you do, you will know that person didn’t really know what a paella is. Onions are as seen in paella as onions are, but onions are far worse. Once cooked they are almost impossible to spot but adding onions to your paella will probably make the rice cook more than it should and your paella won’t have the consistency it should. Some people like the paella mixta, something that originally didn’t exist. It mixes chicken and rabbit with prawns and mussels. 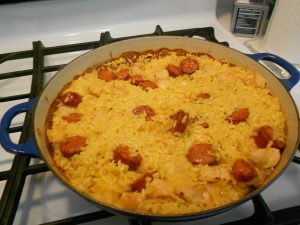 This paella isn’t that uncommon, but many paella lovers will tell you that this isn’t really paella. Chorizo is a very Spanish thing, right? So why not add it to a very Spanish dish? Well, once again this is something you should probably never cook for someone who loves paella. This mistake is usually made by foreigners who think that just because it’s Spanish it belongs on a paella. 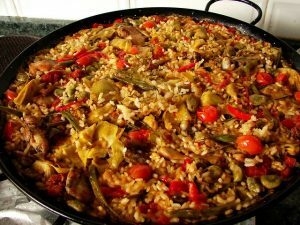 The right rice for a paella is the round-grain rice like bomba rice, or medium-grain rice like bahía or sénia, but you should never use long-grain rice like basmati. 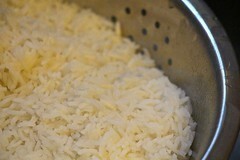 This type of rice won’t absorb as much broth and your paella will be tasteless. 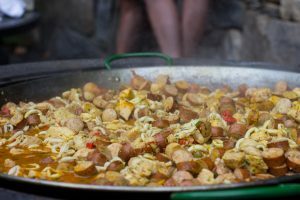 You should never add pork to a paella, neither loin, sausages nor chorizo. 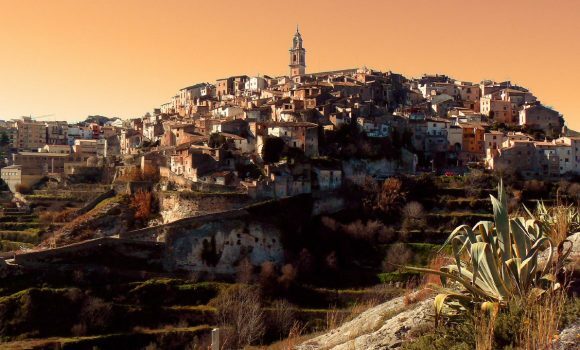 There are some regions of Castellón and Alicante where traditional paella has pork in it, but only pork ribs, nothing else. However, no matter what people say cooking and eating are all about enjoying what you prepared adn having fun doing it. So as long as it’s tasty you can really put anyithing you like into a paella, just don’t be too surprised if people tell you it’s “not real paella”. 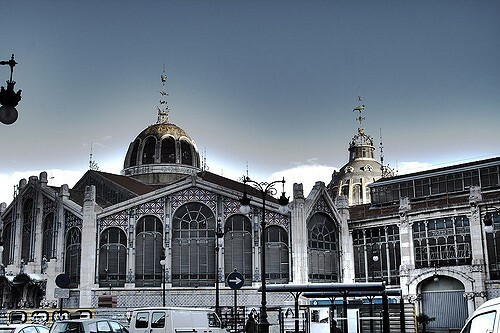 Hogwarts has the best Spanish teachers and it’s coming to Valencia!